Since the family purchased the ranch in 1928, citrus and cattle have been in their blood. The ranch holds the title as longest continually operated citrus orchard in the state of Arizona, but trees and cows aren’t the only crops raised by the Justices over the past 90 years. From alfalfa and cotton, to potatoes and beans, the ranch has adapted and evolved; always looking forward while keeping the past in mind. While the Justices arrived in Arizona before buying the ranch, Marion and his son, Robert, purchased the property in 1928. The two of them worked the land until Marion’s older son, Selwyn, joined them. Not long after Selwyn’s arrival the two Justice brothers bought their father’s share out, giving Justice Brothers Ranch its name. 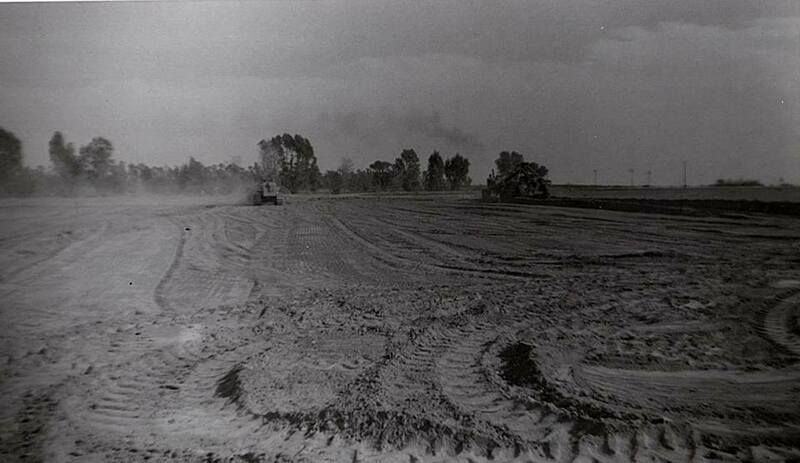 For several decades the brothers planted swaths of cotton, alfalfa, and wheat, and eventually potatoes and beans. The family tried a little bit of everything, looking for ways to earn a living off of the land, while working for or with neighbors to build up a bankroll while waiting for crops to come in. Selwyn and his wife, Carla, had three children and the youngest of them, DeWayne “R.D.” Justice, continued in his father’s footsteps, ultimately expanding the ranch’s cattle operation alongside an increasing focus on specialty crops. R.D.’s son, R.T. “Selwyn” Justice, worked his family’s land through school, and eventually joined R.D. in operating the ranch. Not long after Selwyn (the younger) took over a local u-pick orchard from a family friend which was the Justice family’s first foray into direct-market agriculture. While the future is unknown, Selwyn’s daughter Scarlett is enjoying the life of a farm and ranch kid, with any luck she’ll continue a family tradition that’s 90 years in the making. 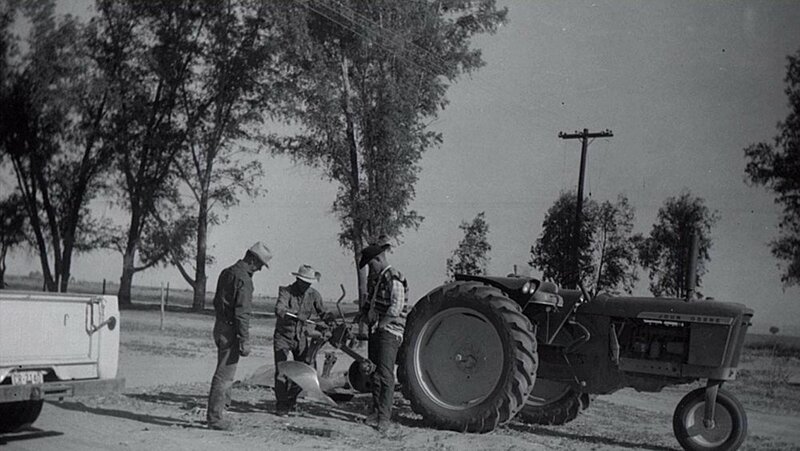 Selwyn the elder hooking a plow up to a JD 3010 with a young DeWayne supervising.